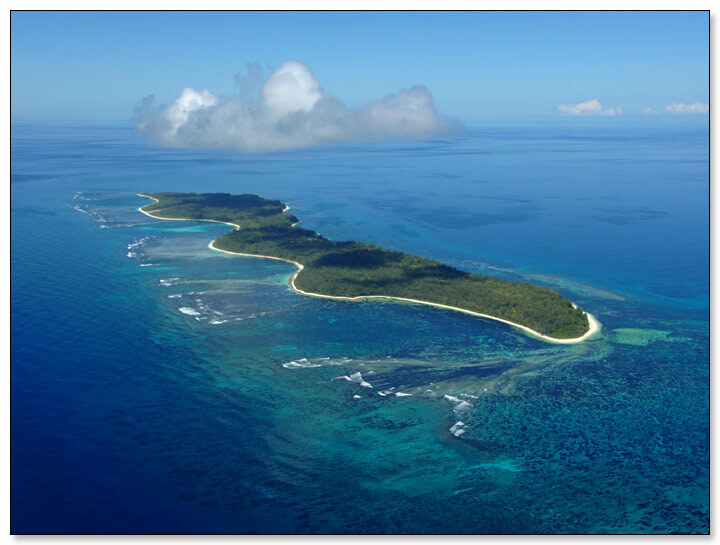 Desroches Island in the Seychelles is one of the world’s most beautiful islands. It is located 230 kilometers south-west of Seychelles’ main island Mahé. The island is 6 kilometers long and 1,5 kilometer wide and has 14 kilometers of white sand beaches and crystal clear blue water. The island’s lush vegetation, an abundance of palm trees and its own coral reef give it that wonderful tropical ambiance. Desroches Island is uninhabited, apart from a luxury five-star resort and 28 villas. 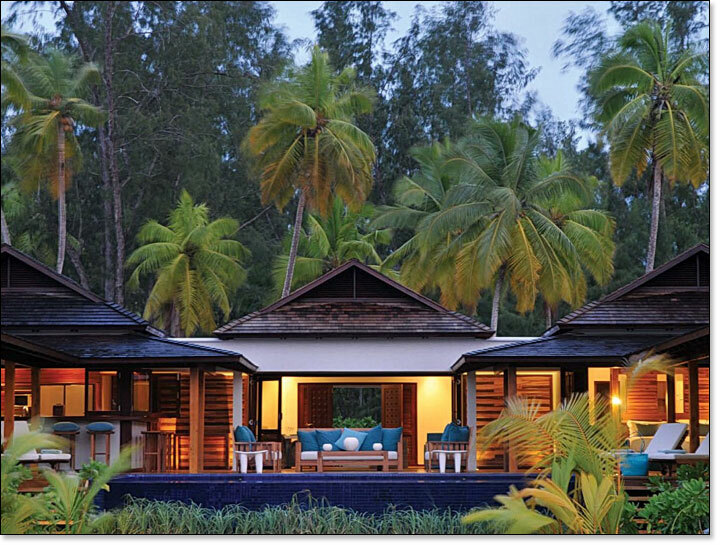 The resort has been rated 7th in Forbes’ The World’s Most Remote Hotels. Just two of the villas remain for sale. The villas are newly built, fully furnished and equipped and are now ready for occupation. The villas are on the beach, with four air-conditioned en suite bedrooms. The rooms are grouped around the villa’s own private infinity pool with open view to the sea. Each villa has a fully equipped kitchen, lounge and dining room. To ensure you are well cared for, a butler, cook and housekeeping staff are available. The kitchen is equipped with an ice-making machine, stove, microwave, fridge and deep freezer. Bathrooms have indoor and outdoor showers and a bath. The villas have all comforts including a plasma screen television, Ipod docking station and music system, coffee maker, barbeque, kayaks and bicycles. Villa owners and their guests can use the hotel’s facilities: fishing, kayaking, scuba diving, snorkeling, windsurfing, boating, a spa and restaurants. 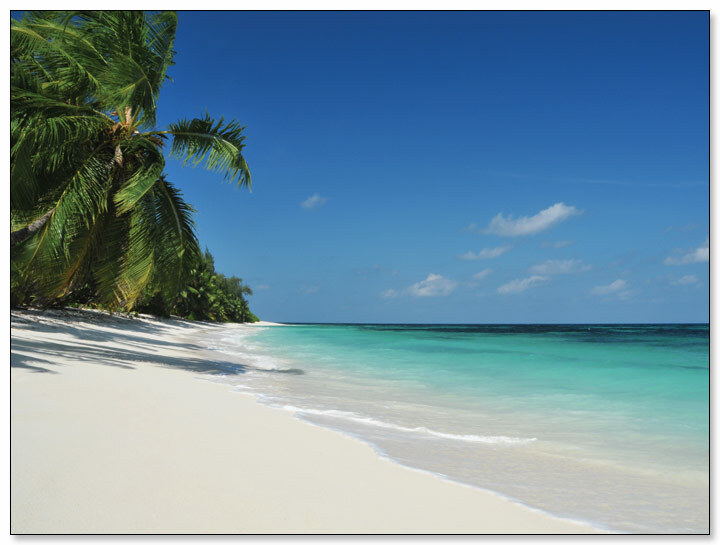 Desroches is a carefree island and has no poisonous fauna, no snakes and no poisonous scorpions. All bedrooms are equipped with large-size mosquito nets although the island is entirely malaria-free. Perfect for families that want a stress free holiday. The island has a paved airstrip and is connected to the main island Mahé by daily scheduled flights that take 40 minutes. Direct flights from Europe leave for Mahé 5 or 6 times a week, depending on the season. These days, to quote the writer Elbert Hubbard, "no man needs a vacation so much as the man who just had one". But at these remote hotels - especially if you build in time for actually getting there and back - you really can find that restorative solitude. After all, part of 'getting away' is actually 'getting away'. 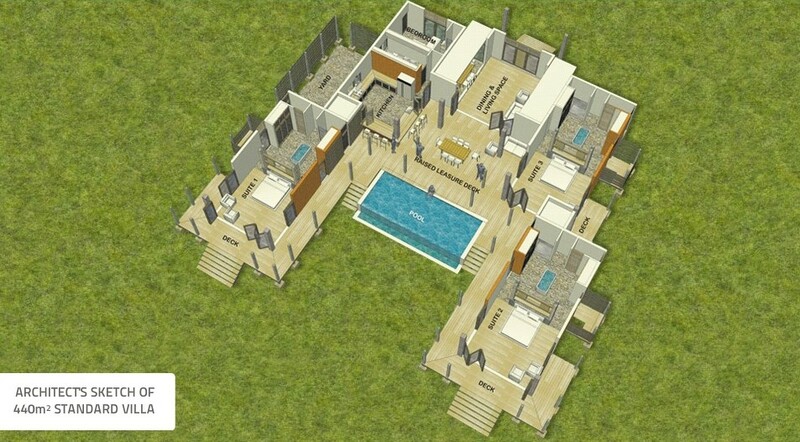 The price for each villa is 1,800,000 Euros. Villa owners can become part of the villa rental pool which can turn your ownership into a profitable project. Are you interested in owning a luxury home in a unique and beautiful part of the world? Contact us for more information.